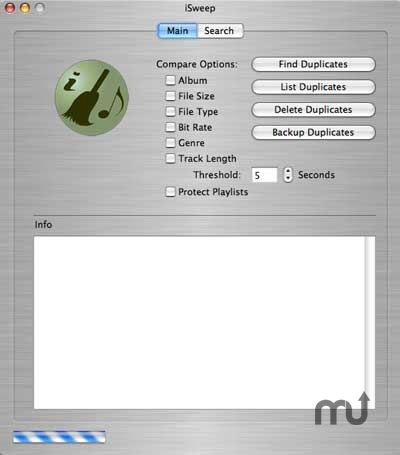 Find, list, delete & backup duplicate tracks in iTunes. Is there a better alternative to iSweep? Is iSweep really the best app in Audio category? Will iSweep work good on macOS 10.13.4? Added Search Feature to search hard drive for music files that are not registered in the iTunes Database. Added ability to move all orphaned music files that are found to a location of the user's choice. Added a sound upon task completion (per user requests). Added a help option in the menu. iSweep needs a rating. Be the first to rate this app and get the discussion started!